Before managers can successfully lead their organizational units through a transformational change, they must overcome existing general fears and negative attitudes. Most of these fears and attitudes have been formed over the past two decades by actions and decisions organizations have made that have detrimentally affected individual employees. From the 1980s on, businesses have faced the greatest overall restructuring since the Industrial Revolution. The depth and scope of this restructuring has been painful. Many employees have experienced downsizing, layoffs and a host of management fads, including the chaos, uncertainty and heightened frustration of reengineering. The methods used often resulted in covering and masking a number of management actions and mistakes. Pain was further increased by the visible unfairness and callousness of many employee layoffs. The result left for managers to deal with is an employee mindset that translates into a lack of willingness to contribute personal initiative and productive work. This reflects itself in less effective teaming efforts and a lower output of quality decisions and products, as well as decreasing the loyalty leaders require from their unit members to lead their organization through the ongoing transformational process. This is important for managers to grasp because organizations competing in the twenty-first century need the willing help and assistance of intelligent, motivated, collaborative and enterprising employees. This presents leaders with a real challenge: they must first work with their employees to overcome the problems and sentiments of past organizational actions before moving forward into an active transformation. Organizational stakeholders and investors who want to see increased results and overall improvement further complicate the process. Feel that management fails to provide clear direction. Do not believe what management says. Are less sure about keeping their jobs. Worry about their company’s future. Feel overall morale is lower. These facts frame the starting point defining where many leaders find themselves in the face of transformational change in their organizations. While time heals all wounds, most managers do not have this luxury in the face of the chaotic events and issues. The most practical answer to overcoming these fears and attitudes is increasing employee empowerment. However, this is not likely to work without the total commitment of everyone holding a leadership position. Leadership can come from the ranks of senior managers or from organizational unit and team leaders. Any major transition will not work without a commitment from each level. In addition to employee empowerment, managers need to establish working teams to tackle ongoing problems and concerns. It is better to establish multiple teams than to create one involving every employee in the organizational unit; the best workable size is between five and six members. In many instances, teams can work on the same problems. This furnishes a method of developing multiple solutions and alternatives. A collaborative team can be established to select the best solution and then assign specific aspects of it to each team to address and implement. If managers fail to develop one of these three skills or eliminate them from their leadership contributions, the team will break down. Managers furthermore cannot assume that if they simply form a team, participants will decipher what needs to be done and how things need to be accomplished. They must train unit members in working together in teams, focusing on the important issues, dealing with other teammates, and getting results. While empowerment and an effective team approach will not immediately resolve many of the nagging employee problems and attitudes a manager must actively deal with, it does establish a foundation for improved performance and participation. As leaders initially start the process, they will need to develop strategies to cope with and address the emotional baggage issues brought to the table by their employees. They must allow the venting of frustrations and criticisms, then eliminate each of these issues in turn until full participation is achieved. If you would like to learn more about assisting employees deal with the realities of change, refer to The Impact of Change on Individuals: Pinpoint Leadership Skill Development Training Series. This training skill-pack features eight key interrelated concepts, each with their own discussion points and training activity. It is ideal as an informal training tool for coaching or personal development. It can also be used as a handbook and guide for group training discussions. Click here to learn more. The concept of empowerment demands the full participation and interaction of all levels of an organization. Problems arise when there is a lack of commitment by leaders to actually implement empowerment strategies throughout the organization. They mouth the words of empowerment but fail to back them up with real actions to remove barriers for all employees. Leaders have a powerful position to play in the transition and development of a company’s ability to successfully implement employee empowerment throughout the entire organization. Leaders understand that the implementation process of empowerment is concerned with more than just the mechanical aspects accompanying the transitions and change. It is important to understand that many barriers to real empowerment exist because of the pitfalls many organizations stumble into. Most of them materialize because of a failure to focus on how to improve the more indirect value characteristics of the organization. These characteristics involve the issues of trust, responsibility, harmony, participation and cooperative group efforts. Often the responsibility lies with the leader who fears a change in the status quo and an erosion of his or her power and authority. Decisions are being continually made at the top in spite of the organization saying it is empowering its employees. This mixed message supported by accompanying actions does much to undermine an employee’s willingness to participate, improve performance, and accept additional responsibility. A traditional labor division still exists even though participation is actively sought. This is generally caused by leaders failing to delegate meaningful assignments, tasks and projects able to have a real impact on building confidence and worker satisfaction. Many leaders believe that empowerment can still be accomplished through delegating, but that there must be some form of direct or indirect control when it comes to overseeing what is being delegated. Many leaders fail to realize one important fact: if employees directly affected by proposed changes are not involved in the decision to change, they will fight its progress. Employees should not be told what to do, but be given the opportunity to learn where, when and what to do in specific situations. Many leaders have their own fears to overcome, generally believing that empowerment will lead to them relinquishing authority and ultimately losing their jobs. Most resistance to empowerment comes from middle management. Leaders fail to see how these fears can be reduced or eliminated by setting, measuring and evaluating performance together with their organizational work units. Organizations often fail at the top levels when desiring to implement empowerment. They thwart its success because they are shortsighted in not training their own leaders and supervisors to understand empowerment concepts, the value these ideas have for the company as a whole, or how to personally cope with change. Organizations do not recognize the importance of the primary role of leadership in empowerment: to support and stimulate their employees to cooperate in overcoming cross-functional barriers and eliminating fear within their own work units. Many organizations feel it is better to start empowerment changes at the top and then work down to employees, even though this limits some aspects of empowerment. Upper and even middle management often argue that employees are unable to get the whole picture of the organization and are unqualified to make most important decisions, especially those that impact profitability. Organizations often forget or fail to recognize another important aspect of empowerment: delegating responsibility to the lowest levels of the organization. Leaders need to emphasize that the decision making process should be highly decentralized, and employees in work-designed groups or teams should be responsible for their part in work processes. Empowerment is seen as a byproduct. Many organizations look at employee empowerment as a result of an organization’s strategy and technology that focuses on how to improve costs, speed and efficiency, not as the essential ingredient to make it happen. They fail to look upon empowerment as a direct strategy to produce higher quality, productivity and efficiency. Organizations often fail to realize that without productive employees they are nothing and can do nothing. They sometimes become shortsighted and fail to realize that empowerment works best when employees need the organization as much as the organization needs them. Organizations often feel an employee’s real need lies in an increased paycheck or better benefit package. There is a general belief that employees only wish to work for monetary compensation. It becomes a self-fulfilling prophecy and their demands grow accordingly because employees resort to this focus when they are not allowed to play an integral part in the organization. Leaders forget to follow the golden rule: they must treat their employees the way they would want their bosses to treat them. Leaders must define what their actions and words mean to employees so that they realize concepts of fairness, respect, and consideration are an important element in the overall work culture and climate. If you would like to learn more about effective empowerment strategies, refer to Empowerment: Pinpoint Leadership Skill Development Training Series. This training skill-pack features eight key interrelated concepts, each with their own discussion points and training activity. It is ideal as an informal training tool for coaching or personal development. It can also be used as a handbook and guide for group training discussions. Click here to learn more. The actions and behaviors of individual leaders impact trust within the organization. Many fail to understand the elements of a trusting work atmosphere and the strategies used to build and establish a firm foundation for trust and leadership. There are five key elements a leader must focus their efforts on to develop a comprehensive atmosphere of trust in their workplace. While the concept of trust implies participation by both leader and the people they deal with, including their superiors, associates, peers and employees, it must start with the individual leader. It is counterproductive for leaders to withhold their trust until they are able to trust the other party. In most cases trust is mutually developed by both parties and balanced by the commitment each brings to the relationship. Typically, employees and other individuals will reciprocate the trust placed in them by leaders. As leaders attempt to build trust, they will experience reluctance in the form of employees who have felt betrayed by the organization in the past. Consequently, leaders must signal a change by making the first steps to initiate and demonstrate trust in their employees. Once employees see that a true change has occurred, they will begin to slowly form the bonds of trust needed for leaders to be effective. If leaders are credible, they are trusted and believable to their employees. Employees consider a credible leader to be one who does not advance a personal agenda but has the best interests of the organization and his or her employees at heart. Employees and other individuals view credibility from differing perspectives. Often credibility can be confused with personal competence. 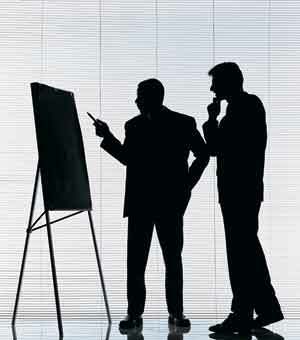 If the leader is knowledgeable and possesses both personal expertise and experience, they are considered credible. Conversely, leaders who maintain positions in which they demonstrate professional incompetence exhibit a lack of professional credibility, with employees viewing their direction, judgment and leadership as suspect. Making themselves available to their employees and easy to talk with. Good leaders do not wait for their employees to approach them, but seek them out on a regular basis. Many will walk around and talk with each employee several times a day to discuss everyday concerns and issues. This proactive approach allows them to monitor the pulse of their organization while facilitating open communication with their employees. They instantly answer questions with straight responses and openly make their expectations of the organization and their employees known. Trusting their employees to handle their jobs and responsibilities without regularly looking over their shoulders and micro-managing their activities. Being completely reliable and always delivering on their promises and commitments without fail, enabling employees to know without question that they can count on the leader. Trust is built when employees know their leader is fair and consistent in his or her actions, decisions and judgments—no matter who is involved and what the circumstances. Ensuring all employees are treated in the same manner. Making sure all actions, judgments and decisions are fair to all parties concerned. Avoiding any favoritism among employees, especially where rewards, recognition and promotions are concerned. Effective leaders make certain their actions, judgments and decisions are consistent and not based upon specific circumstances. Only when leaders demonstrate consistency over time can they build trust with employees, who then know they will always be treated fairly. Demonstrating a personal regard for individual employees’ experience, expertise, knowledge, insight and perspectives concerning their jobs. Actively seeking feedback and employees’ insight, perspective and opinions regarding important decisions. Actively involving employees in the decision making process. Demonstrating appreciation for employees’ personal contributions to the success of the organization. Providing the training, resources and support employees need to competently perform their jobs. Demonstrating care and concern for employees’ lives outside of the workplace. Trust is fostered and nurtured by a sense of mutual pride in the work, quality and accomplishments of the organization. 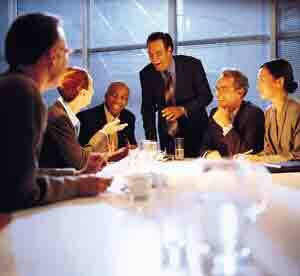 This builds organizational cohesiveness that bonds all employees together and strengthens trust in all involved. As workplace cohesiveness increases, so does a sense of trust in the organization and its people. Everyone feels they are working together, and each can be trusted to fulfill his or her role and responsibilities. Helping employees understand their individual role in the organization and how their efforts contribute to its success. Helping them understand that they personally make a difference within the organization. Exhorting employees to take satisfaction both in their organization’s accomplishments and its contributions to their community. Comradery is not normally associated with the concept of trust, yet it does contribute to the organizational cohesiveness established by trust. As cited above, the stronger the organizational cohesiveness, the stronger the bond between leaders and employees. All involved feel linked by common goals, experiences and successes. They have a sense that everyone is “in it together” and work as a unit rather than as individuals. Openly and regularly celebrating special events and mutual successes. Consistently and openly recognizing, rewarding and celebrating individual successes in a warm and genuine manner. If you would like to learn more about techniques that build trust, refer to Building and Nurturing Trust in the Workplace: Pinpoint Leadership Skill Development Training Series. This training skill-pack features eight key interrelated concepts, each with their own discussion points and training activity. It is ideal as an informal training tool for coaching or personal development. It can also be used as a handbook and guide for group training discussions. Click here to learn more. If you would like to learn more about empowerment techniques, refer to Empowerment:Pinpoint Leadership Skill Development Training Series. This training skill-pack features eight key interrelated concepts, each with their own discussion points and training activity. It is ideal as an informal training tool for coaching or personal development. It can also be used as a handbook and guide for group training discussions. Click here to learn more. It is difficult to predict leaders’ responses to change, as they must continually be on guard for unpredictable occurrences and forces, and in some cases immediately respond to a series of unknown and unanticipated events and circumstances. The only certainty is that change will occur, and leaders must be at the forefront of the process regardless of circumstances and apprehensions. Change undoubtedly poses a challenge to every leader. This is because it can be anticipated only to the degree that it is predictable. Long-term changes and trends can be generally anticipated, but these changes are often complicated by numerous factors and elements continually altering and transforming themselves at varying rates of speed. The very nature of leadership demands that leaders be actively involved in their organizational unit. Leadership does not emanate from behind a desk or within an office. Leaders must be active and visible in the front lines of their business. Only when leaders are out and about among their employees can they see and feel the pace of progress, and witness firsthand the problems their employees are encountering. Paces of change and organizational transformations demand that countless ideas be constantly generated and experimented with at all levels. Undoubtedly, some ideas will fail and some will succeed. The only way leaders can sort out the winners from the losers is by constantly applying new ideas and concepts on the line to test for feasibility and adaptability to their organization. As leaders become increasingly visible, it is important that they simultaneously begin to develop listening forums where everyone within their organizational unit is sharing new ideas, celebrating minor successes and learning from small failures. This increases the synergy between employees, builds and solidifies team bonds, and enhances overall organizational cohesiveness. As aforementioned, an organization’s response to change as it transforms itself implies countless new ideas and concepts are being experimented with on a regular basis. Leaders know that constant experimentation means that they must test concepts, ideas and strategies rapidly—fail or succeed fast—and adjust quickly. Active leaders must immediately discard bad ideas and learn from their failures. However, no idea can be deemed good or bad unless it has been adequately tested. The key is to learn from the failures and quickly move on to the next idea, building knowledge and expertise from a continual string of ineffective results, failures and shortcomings. Leaders in the fast pace of change must be proactive rather than reactive. They cannot let the organizational bureaucracy interfere with the progress of their organizational unit. At times they must actively work against this bureaucracy when it regulates or inhibits the testing and experimentation of new ideas and concepts. Effective leaders do not only involve their frontline employees in concept, idea and method experimentation, they encourage the participation of multi-functional teams as well, and work to get them fully involved in the process. Leaders have learned that the external influence of the customer is a stabilizing factor in the midst of change. Successful leaders interact with their customers, and encourage employees at all levels to do the same. This can be accomplished through scheduled customer visits to the organization for discussions, observations and feedback, and by sending representatives out to the customer’s business. Once there, their job is to objectively observe exactly how specific products and services are being used and applied. 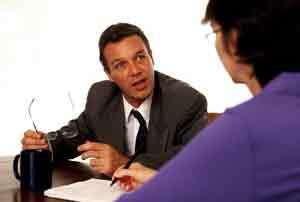 They also interpret what problems occur and why, as well as each one’s impact on various time factors. This allows leaders to cross-pollinate ideas and concepts throughout the organization so that all involved have mutual goals and objectives, increasing the overall quality of the product and its value to the customer. Additionally, employee exposure to their customers makes daily tasks and assignments more tangible. Employees are able to see how the product they produce is used. This increases empowerment and overall responsibility toward the customer. The concept of change and accompanying process of organizational transformation are stressful. Most leaders have learned that they can ease stress by making certain elements of the process “fun.” This is not to say that leaders create a jovial and joking atmosphere, but that there is pleasure and enjoyment in accomplishing something together as a team and sharing interesting failures and mistakes in a non-critical atmosphere. It means keeping things light, celebrating the little successes, and using them to build on others to the accomplishment of mutual goals and objectives. Change will throw many curves at an organization. It takes large doses of flexibility and participation to adapt to these trials. It also helps if leaders and employees lighten up at times where stress is at its highest, which helps to reduce the urge to take things far too seriously. If you would like to learn more about techniques to facilitate change, refer to Facilitating Change – Pinpoint Leadership Skill Development Training Series. This training skill-pack features eight key interrelated concepts, each with their own discussion points and training activity. It is ideal as an informal training tool for coaching or personal development. It can also be used as a handbook and guide for group training discussions. Click here to learn more.